OFFICIAL! HIV does not cause AIDS! How to support Rethinking AIDS? 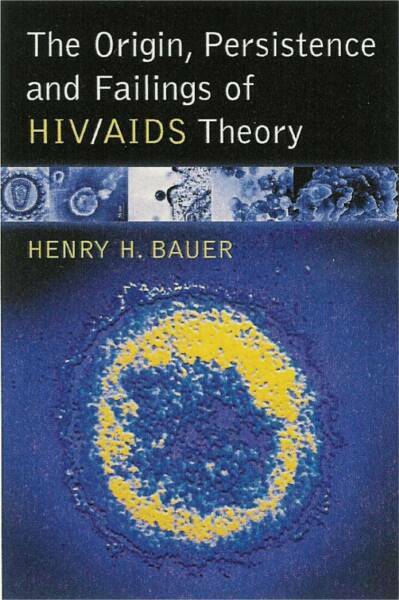 How has HIV/AIDS theory survived the evidence against it? « “AIDS” deaths: owing to antiretroviral drugs or to lack of antiretroviral treatment? Prediction: This will be among the Nobel Prizes that the Nobel Committee will regret having awarded: for discovering a virus that has yet to be isolated, and for another that is claimed to cause a small percentage of cases of cervical cancer but is a boon for vaccine hawkers [CDC MONGERS FEAR AND HAWKS DEADLY VACCINE, 13 March 2008]. This news item failed to mention, though, that “efforts to develop a vaccine against the virus” have been unsuccessful despite more than two decades of efforts. HIV skeptics will certainly agree with the Nobel Committee, however, that if HIV was discovered, it was in Montagnier’s lab and not in Gallo’s. “AIDS, cancer scientists scoop medicine Nobel — (CNN) — Two Frenchmen and a German won the 2008 Nobel Prize in medicine for their discoveries of viruses that cause HIV and cervical cancer, the organization’s Web site said Monday. Luc Montagnier will split the $1.4 million prize with two others. Francoise Barre-Sinoussi and Luc Montagnier of France were honored “for their discovery of human immunodeficiency virus.” The pair are recognized as the discoverers in 1983 of the virus that can expose people to AIDS. Both have been involved in breakthroughs in screening for HIV and efforts to develop a vaccine against the virus. Harald zur Hausen of Germany was cited “for his discovery of human papilloma viruses causing cervical cancer” in women. The Nobel Laureates in medicine will receive their awards in Stockholm, Sweden on December 10. They will split the the $1.4 million prize. This entry was posted on 2008/10/06 at 10:06 am	and is filed under experts, HIV absurdities, HIV skepticism, HIV tests, vaccines. Tagged: Francoise Barre-Sinoussi, Harald zur Hausen, Luc Montagnier, Nobel Prize for HIV, Nobel Prize for HPV. You can follow any responses to this entry through the RSS 2.0 feed. You can leave a response, or trackback from your own site. With Gallo being left out as being co-discoverer, and another news article saying the Nobel Committee agreed with previous findings that Gallo had a contaminated sample from Luc Montagnier, does this offer further proof that the HIV tests are non-specific? Why doesn’t the industry go back to the basics to make testing more accurate and precise? It is too serious, playing with people’s emotions and lives to get a false positive and start drugs that suppress the immune system. No? One (even without the knowledge of the actual evidence on this flawed theory) should wonder immediately about the timing of such an announcement? Why now? Why not in 1983 or any year since then? Is this a pre-emptive strike or an act of desperation by the Establishment, given the mounting evidence against virology in general? I hope everybody realizes how destructive to science all these “prizes” are, because they imbue false theories with unearned prestige. The laureate suddenly finds universities offering him huge sums and lofty titles. He becomes like a god. The awarding of the Nobel Prize means, to the public, that the awardee is a genius, and unquestionably right. One could make the case that the Nobel Foundation is the true culprit in “HIV-AIDS.” From the very beginning, they honored false theories, starting with Gajdusek’s slow-virus theory, then Baltimore’s theory that retroviruses were pathogenic (correct me if I’m not quite accurate about what Baltimore asserted), and now this, the ultimate farce. Between this and giving a Nobel to Al Gore, a hypocrite who was an enthusiastic part of the Clinton administration’s environmental wrecking crew, the prizes this year have sunk to a new low. Abolish them now. Abolish the Pulitzers as well, because they do the very same thing with journalism. It is obvious that these Prizes are designed to prop up establishments and elite power everywhere, and have little to do with merit. And who, pray tell, are the judges who make such fine decisions? I would really like to know. And let’s not forget the Nobel they awarded to the scientist who devised lobotomies for the mentally ill. Yes, if they had included Gallo, that would have been enough to make me board the next rocket to Saturn, and it’s lovely that they spurned him. Probably the timing is related to the fact that investments on AIDS research are shrinking in the last days. Maybe this is a nice hip to boost investments! Luc Montagnier should go down with Egas Moniz (“inventor” of pre-frontal lobotomy) as another mistake made by the Nobel people. Another reason why Nobel and similar prizes are a bad idea is that they enshrine the illusion that the winners are somehow QUALITATIVELY in a superior and different CLASS than their peers. The readiest proof that this is not the case is the fact that Nobel winners almost never win a second Nobel. We have two months (exactly 64 days from today) to avoid that on the 10th December Dr. Montagnier really receives the award. We could send, from different countries in different languages, a lot of e-mails, letters, CDs, DVDs, books,…, to Professor Jan Andersson, with copy to (if possible all the members of)the Nobel Assembly at Karolinska Institutet, to the staff of Karolinska Institutet, to the Nobel Foundation, to important Swedish newspapers (specially Dagens Nyheter and Svenska Dagbladet), to the Swedish government, … Invite everybody to do the same. International Operation “No Nobel Prize to Dr. Montagnier: avoid to recognize later a tragic lobotomy mistake today”… or something better than this (my English is not the best). Talking about anti-oxidants, I have not found any articles on the endogenous anti-oxidant system and how it works. There is plenty of info on the body’s oxidation abilities though. Can anyone direct me to how the human endogenous anti-oxidant system functions? I think Lluis Bottinas’ suggestion above is really worth a shot. Maybe RA can organize such a campaign. What do the others think? The lobotomy case is just one instance. I think awards are necessary to gain “public attention”, as the public needs to be aware. Moreover, it is not bad to challenge a scientific theory: this theory could be challenged, but the social impact of the Nobel prize should not be denied. There is a difference between a scientist and a common man. One of the salient points is that the public impact is very great and that this is deleterious when the “discovery” is mistaken, as with “HIV”. Nobody accepts lobotomy anymore, Nobel Prize notwithstanding. Exactly. Nobel Prize awards are fallible. I notice one of the Nobel panel members stated that by giving the award to Montagnier, it would finally put a stop to people questioning the science behind HIV?AIDS.I presume this is why the award was given, and probably the same goes for the HPV award. That’s what I also think. But there is no chance that the Nobel panel or other “authorities” could ever stop me thinking or asking unwanted questions. In an article on my blog I suggested that the Nobel panel is running out of suitable candidates because of corruptive “science”. Thus they now have to award the prize for the non-detection of an item. There is a German website which offers many articles in English. Just scroll down the page and you’ll find them. I’m not sure whether that is what you’re looking for? We have still two months… though two days less. Kyle, who were the panel members? That appears to be a blatant admission of the political motivation behind the award. STOCKHOLM (AFP) — French and German scientists credited with the discovery of the viruses behind AIDS and cervical cancer won Monday the Nobel Medicine Prize, the first of the prestigious awards to be announced this year. France’s Francoise Barre-Sinoussi and Luc Montagnier, who shared one half of the award, discovered the human immunodeficiency virus (HIV) that causes AIDS, one of the biggest scourges of modern times. Harald zur Hausen of Germany won the other half of the award for going against the then-current dogma and claiming that a virus, the human papilloma virus (HPV), causes cervical cancer, the second most common cancer among women. The French pair’s HIV discovery was “”one prerequisite for the current understanding of the biology of the disease and its antiretroviral treatment,”” the Nobel citation said. Their work “”led to development of methods to diagnose infected patients and to screen blood products, which has limited the spread of the pandemic,”” it said. 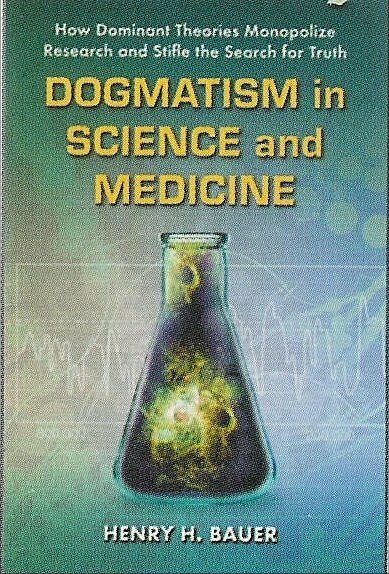 Montagnier dedicated his award to AIDS sufferers and predicted results on a “”therapeutic vaccine”” for the pandemic within four years. “”I think my first reaction is to think of all the people sick with AIDS and all those who are still alive and fighting against the illness,”” Montagnier told AFP. He said a treatment could be possible in the future with a “”therapeutic”” rather than preventive vaccine for which results could be published in three or four years if the researcher can secure financial backing. AIDS — acquired immune deficiency syndrome — first came to public notice in 1981, when U.S. doctors noted an unusual cluster of deaths among peoples in California and New York. It has since killed at least 25 million people, and 33 million others are living with the disease or harboring HIV. In May 1983, in a paper published in the U.S. journal Science, a team from France’s Pasteur Institute, led by Montagnier and including Barre-Sinoussi, described a suspect virus found in a patient who had died of AIDS. Their groundbreaking discovery was also helped by U.S. researcher Robert Gallo’s determination that the virus was indeed the cause of AIDS. Both Montagnier and Gallo are co-credited with discovering that HIV causes AIDS, although for several years they staked rival claims that led to a legal and even diplomatic dispute between France and the United States. The Nobel jury made no mention of Gallo in its citation. “”We gave the prize for the discovery of the virus. The two to whom we gave the prize, Francoise Barre-Sinoussi and Luc Montagnier, discovered the virus,”” Hans Joernvall of the Nobel committee told AFP. Another member of the jury, Bjoern Vennstroem, said he hoped the award would silence those who claim that HIV does not cause AIDS. “”We hope this will put an end to conspiracy theories and others who defend ideas that are not founded in research,”” he told Swedish Radio. Montagnier, 76, is a professor emeritus and director of the World Foundation for AIDS Research and Prevention in Paris, while Barre-Sinoussi, 61, is a professor at the Institut Pasteur, also in the French capital. “”I must admit that I never for a moment dreamt I would hear such news,”” Barre-Sinoussi told French radio by telephone from Cambodia. Meanwhile, Zur Hausen was rewarded for his work on what is sometimes called “”the silent killer”” of women because it is often undetected until it is too late. “”His discovery has led to characterization of the natural history of human papilloma virus (HPV) infection, and understanding of mechanisms of HPV-induced carcinogenesis and the development of prophylactic vaccines against HPV acquisition,”” the jury said. It pointed out that five percent of cancers worldwide were caused by the virus. Fifty to 80 percent of the population is infected with the virus, though not all infections are cancerous. “”This prize means a great deal to me because on the one hand an area has been recognized that has increasingly moved to the forefront in cancer research, namely the role of infectious agents,”” Zur Hausen, 72, said in an interview with German television. Today, a simple smear test can detect HPV and there are two effective vaccines against it. Zur Hausen is a professor emeritus and former chairman and scientific director of the German Cancer Research Center in Heidelberg. The laureates will receive a gold medal, a diploma and 10 million Swedish kronor (1.42 million dollars, 1.02 million euros) — half for Zur Hausen and half for the French pair — at a formal ceremony in Stockholm on December 10. 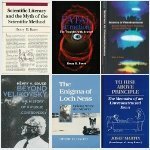 I think that if Dr. Vennstrom would like to silence us, then there are many scientific questions he now needs to answer for. Dr. Bauer, after your own thorough review of the facts, would you suggest a few of the most pertinent questions to demand answers to in order for Doctor Vennstrom to silence us? I, for one, would like to know why the years of highest deaths here in the west are the EXACT YEARS that AZT was administered in high dosage. Thank you very much, Kyle. “Another member of the jury, Bjoern Vennstroem, said he hoped the award would silence those who claim that HIV does not cause AIDS. ‘We hope this will put an end to conspiracy theories and others who defend ideas that are not founded in research,’ he told Swedish Radio”. It is important that these guys know that others on the Committee are also reading the e-mails and are now “clued in” to the discrepancies of the science, and are aware of the less-than-honorable-and-obvious motivations of some of their fellow Committee members. I think it’s the part at the beginning of the 4th minute, it’s very brief. Unfortunately I don’t exactly understand it, but he doesn’t say exactly what he is being quoted as having said, I believe. I’ve been inching toward — as a long-term goal — a summary of all the aspects of HIV/AIDS theory that are clearly disproven, and I’m not there yet, in part because every point needs to be fully documented, in other part because the points don’t lend themselves to sound bites. One set of questions might be those to which HIV/AIDS theory has no answer, most salient perhaps: How does HIV cause destruction of the immune system? And then, why no vaccine and no clue as to what might be protective? Another set has to do with epidemiology: All measured “transmission” rates are too low to produce the observed distribution —James Chin acknowledges that it requires 20-40% of sub-Saharan Africans to have been screwing with several partners concurrently and changing them every few weeks or months. The data for the USA, collated in my book, shows “HIV+” is endemic, not epidemic. In the interview, Bjorn Vennstrom first explains that the brillant thing about the disovery of the link between HPV and cervical cancer was that Harald zur Hausen was able to use new biotechnology to show that snippets of HPV DNA are present in cervical-cancer cells. In other words, he has been awarded a Nobel specifically for discovering a virus, which cannot be isolated in particle form from the cells it is supposed to infect and turn cancerous. I don’t know if this is an accurate presentation, but that is what Vennstrom says. . . Asked directly, Vennstrom refuses to recommend HPV vaccination. He says the vaccine prevents 95% of all HPV infections, but that we will have to wait 25 years to find out if it prevents cervical cancer!!! He completely dodges a question about the circumstance that the Nobel Committee has handed vaccine producers a golden egg. Vennstrom claims the Nobel Commitee has spend years researching the matter and is satisfied that the French and only the French discovered HIV. Vennstrom claims he hasn’t personally spoken to Gallo, Barré-Sinoussi or Montagnier. It is not clear anybody has. He says it was Montagnier who “cut up” cells from a pre-AIDS patient and grew or cultured them, and it was Barré-Sinoussi who performed the several tests to show the virus (activity). Vennstrom is asked about the silencing effect on those who question HIV/AIDS and he answers as we have seen. He specifically mentions South African politicians. It is remarkable that he acknowledges that “we (the Commitee) hope it will silence conspiracy theories and other non-scientific theories”. His choice of words is straight out of the AIDstruth manual. Vennstrom presents the new theory, which places the origin of HIV around the beginning of the 20th century, as consensus. – Do you think this will silence certain politicians, for example in South Africa and the like, or others that also have questioned the role of HIV in all this? Hmm…yes that’s interesting with Adriano Boasso. And thanks for the translation. I, and many thousands of others worldwide, in the name of Alfred Nobel, humbly ask that you reconsider the 2008 Nobel Prize award in medicine, and revoke the prestigious awards to Barre-Sinoussi and Montagnier until purification of a retrovirus that causes aids is fully and unquestionably independently established and verified to have a high degree of probability. After 25 years of ever increasing public doubt, Alfred Nobel himself would demand of you nothing less than the highest due diligence in this matter. Though we have difficulty understanding why a “scientist” would wish for anyone not to question any and everything, the only thing that will ever silence those who question HIV is not science by consensus or award, but credible science itself. Pr. Vennstrom’s words are evidence of his bias and political and emotional viewpoint on this matter, and are not founded in the presented scientific evidences. By the way, Vennstrom was also postdocing from 1980-1982 in San Francisco with Bishop and Varmus, who became oncogene Nobelists in 1989. But, there is as yet no evidence that “oncogenes” from human or animal cancers can transform normal cells to cancer cells. Yet, the questions- “why?” are no longer, “scientifically correct” since the Nobel Prize closed the case. Roma locuta causa finita. Rome has spoken, case closed. Now the Nobel committee has done just the same with HIV, which Varmus’ committee, including Montagnier but NOT Gallo, named Human Immunodeficiency Virus in 1986 without proof that this virus can cause immunodeficiency (Science, 1986). Another obvious bias on the Nobel committee, is Professor Jan Andersson, who was interviewed as the “spokesperson” for the committee’ selection of Luc Montagnier, immediately after the award to Montagnier was announced. Professor Andersson is himself an HIV researcher with his own grants and “science” that is also highly threatened by those worldwide thousands who question HIV. Quite obviously these two Nobel committee members were instrumental in urging the 2008 committee to give Luc Montagnier his award. And in quite obviously the committee has not demonstrated non-biased nor credible science as their measure in awarding the prize. It is crystal clear to many looking at this situation that bias, politics, and self interests are at stake. RT is not restricted, as was formerly believed by earlier scientists, to be exclusive to retroviral activity. RT is known to also be caused by yeasts and can also be detected in other occasions as well. RT activity is also not any proof whatsoever of any retrovirus causing any disease. Furthermore, Gallo’s “evidence of RT as causation” showed a mere 40 percent of his “aids patients” showed RT activity! 40 percent is far removed from any high probability of disease causation. However, those worldwide thousands who DO question HIV as the cause of AIDS are indeed quite pleased that Robert Gallo has been brushed from Nobel history. For this, we do sincerely thank you. Be assured, that as soon as “we who question HIV” have credible independent science to back Montagnier and Gallo’s claims, such as purified retrovirus taken directly from the blood sera of immunocompromised hiv positives, such as evidence of high probability of disease causation by such a retrovirus, we will be glad to silence our own questioning selves, and we will be glad to join with the believers of the faith that HIV is the cause of AIDS. Until then, I, and many thousands of others, in the name of Alfred Nobel, again humbly ask that you reconsider the 2008 Nobel Prize award for Physiology and medicine, and revoke this prestigious award until purification and proof of causation of a retrovirus that causes aids is fully and unquestionably independently established and verified. I remind you again that Alfred Nobel himself would demand of you nothing less than the highest due diligence in this matter. 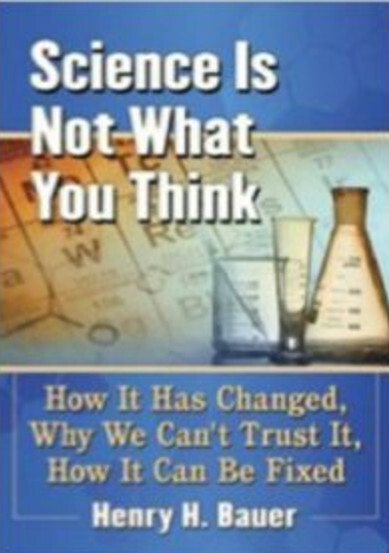 Unless you do so, the award itself becomes dishonored as a meaningless display of this generation’s climate of unsupported scientific claims, based on bias, financial and political motivations, conscensus science, and popular belief instead of proven, verified, scientifically backed evidence. Again, I would like to encourage all to send emails to the committee on this matter. You are welcome to copy my letter above and sign it with your own signature, or to create your own. Follow the link given by Stefan, it is very instructive to see the detail given in the Nobel citation about the “isolation” and mechanism of HIV. Did I forget to mention another Nobel Laureate, Varmus? If it’s true as someone said that he was on the committee that named HTLV-III the “Human Immunodeficiency Virus” despite no evidence that it causes immunodeficiency, he would be another example of the Nobel Foundation’s responsibility for the “HIV/AIDS” debacle. The issue of mechanism of cell killing is skirted apart from a brief mention of formation of giant cells, a recognized lab artefact, in Montagnier’s test tubes. I would also encourage people to read the complementary story about zur Hausen’s quest to find Human Papilloma Virus in cervical cancer. If ever the cliché “seek and ye shall find” were justified, this is such an occasion. A decline in global funding to control tuberculosis could compromise gains made in the fight against HIV/AIDS, Francoise Barre-Sinoussi — recent recipient of the 2008 Nobel Prize in medicine for her contribution to the discovery of HIV — said Tuesday, the Los Angeles Times reports. Barre-Sinoussi spoke during a teleconference from the Institut Pasteur in Paris about the current global financial crisis. Of the approximately 33 million HIV-positive people worldwide, about 11 million also have TB, according to Barre-Sinoussi. She added that HIV/AIDS efforts have reached “the period of success with antiretroviral treatment,” but an “alarming” epidemic of multi-drug-resistant TB is on the rise. Although international donors generally direct funds toward antibiotic research and drug distribution in developing nations, HIV and TB advocates “are even more worried than before” because of the worsening global economic situation, Barre-Sinoussi said. “TB is the most common cause of death and illness in those with HIV infection in sub-Saharan Africa. HIV greatly increases the risk of active TB disease and about 80 percent of patients with active TB in the province of KwaZulu Natal, South Africa, are co-infected with HIV. Death rates of up to 40 percent per year have been reported in patients with both HIV and TB”. Interestingly, the ARVs seem to work quite well as a last option in severe cases of TB — I am assuming now that the shared conventional and dissident wisdom indicated by the African study is correct and that a positve HIV test statistically picks out the worst cases of TB. “Led by senior author Gerald Friedland, M.D., director of the AIDS Program at Yale and Professor in the Departments of Medicine and Epidemiology and Public Health, the study measured the prevalence of multi-drug resistant (MDR) tuberculosis and extensively drug-resistant (XDR) tuberculosis in a hospital in KwaZulu Natal. Between January 2005 and March 2006, sputum samples from 1,539 patients were screened. MDR TB was found in 221 patients and of those, 53 had XDR TB. Those patients with XDR who were tested for HIV were found to be co-infected. All but one of the 53 patients with both XDR TB and HIV died, with an average survival of 16 days”. Assumptions/conclusions from studies such as the ones from Thailand are that ARVs knock out HIV, which somehow makes TB less resistant to the conventional treatment and improves general health. A simpler explanation would be that ARVs help knock out otherwise resistant TB, as well as any other non-HIV coinfections which might complicate recovery, thus increasing chances of survival. Thus the Hippocratic oath is once again turned into a bulwark against all that cries out against the beloved paradigm. I think this Medicine Nobel give us a unique very good opportunity to put together all our efforts since more than 20 years in different countries. The 10 December world media will be in Stockholm for Nobel Prizes Ceremony. Why not to be us there with all our knowledge and experience? What about to organize in a Central Square (perhaps in the very popular Sergels Torg, close to the important Kulturhuset) in Stockholm (since, f. i., 20 th. November) an International Hunger Strike “No lobotomy new tragic Medicine Nobel Prize” (((or something better))) to stop delivering of Medicine Nobel the 10 th. December? It should be very important that several persons labeled “HIV-positive” or “AIDS case” coming from different countries participate together with other non-labeled persons. Some making the hunger strike and other explaining and acting. I spoke Swedish because I was political refugee in Stockholm 1975-77, and I hope my brain and my soul may recuperate it. But journalists, scientists and lot of people there speak fluently English. So no communication problem. It is important to prepare the contents of this central action not only writing letters to the Nobel Committee members but as I wrote in Comment 11 to NOBEL PRIZES for HIV and HPV: “We could send, from different countries in different languages, a lot of e-mails, letters, CDs, DVDs, books,…, to Professor Jan Andersson, with copy to (if possible all the members of)the Nobel Assembly at Karolinska Institutet, to the staff of Karolinska Institutet, to the Nobel Foundation, to important Swedish newspapers (specially Dagens Nyheter and Svenska Dagbladet), to the Swedish government, … Invite everybody to do the same”. It is decisive not to remain closed in Dr. Andersson and the Nobel Committee but to go over it, obliging it to take responsibility in front of the Swedish and the world population. It is very important that Swedish media receive copy. It was Reporter Lena Nordlund who took the initiative to ask: “Do you think this will silence certain politicians, for example in South Africa and the like, or others that also have questioned the role of HIV in all this?”, obliging Professor Bjorn Vennstrom to answer something like “Yes, we hope it will quieten the conspiracy theorists and others that assert ideas that have nothing to do with research”, as Hugosw explained us in Comment 32. By the way, Hugo: I suppose you are living in Sweden, hopefully in Stockholm. May you do a list with important e-mail Swedish addresses to send copies? May you write (in Spanish?) directly to me at lluisbotinas@yahoo.es to talk on my proposal? Who should be the next Executive Director of UNAIDS? Dr. Bauer: I ask for your permission to put this Comment in two Nobel Posts in order to reach more of your lectors. Thanks! A new study on HIV-TB treatment that has just come out provides strong support for the rethinker theory that ARVs sometimes work because they are effective against opportunistic non-HIV infection (See my post above). Treating HIV and tuberculosis at the same time reduces mortality by 55% compared with delaying HIV treatment until TB therapy is complete, researchers here said. As I stated in the previous post, ARV treatment of patients with active TB infection is often delayed because it is feared that it will cause more harm than good. This study has amply shown that certain patients could benefit greatly from integrated “HIV” and TB treatment. “The reduction in mortality was statistically significant regardless of the patient’s CD4 cell count, the committee said”. If the medical establishment would let go of their rigid fixation on the Virus and start figuring out which TB patients, HIV negative as well as positive, are likely to benefit from short-course ARV treatment, they could start saving thousands of lives for real within a few months. PS. Once they start following this simple health tip. they could throw a Nobel Prize this way for pointing out the obvious. In a comment on my blog, Stefan R. suggested to write letters to Montagnier himself to convince him not to accept the Nobel Prize, because contrary to Gallo he seems to be unaggressive and to even consider alternative paths to regain health. Unfortunately my English is not good enough and I’m lacking expertise to write such a letter. What do other people think about this suggestion? My sense of Montagnier, most directly from having read his memoir “Virus: The co-discoverer of HIV tracks its rampage and charts the future” (translation of “Des virus et des hommes”), is that he is an opportunist who will not directly contradict the prevailing mainstream opinion, only indirectly by mentioning possible co-factors, etc. *:Or passing it on to someone who deserved it maybe? Thank you for sharing your impression of Montagnier’s personality. What’s the use of a reputation as a courageous and decent human being compared to all the money that comes with the Nobel Prize? And thanks for the link to the Perth group’s comment on the matter. It’s an important one. I realized “opportunism” isn’t quite right, that makes him seem like deliberately planning. I think actually it’s more a case of “going along”, “not making waves”, doing what others do, “going with the flow”; more passive than active. Not one to stand up for anything if there’s any possible danger involved. it seems that some scientists in Germany are waking up…. The link is to a German document signed by many professors urging that the grounds for vaccination against HPV to prevent cervical cancer be reviewed and that females should be given well-founded rather than hyped information. Obviously the most important Swiss daily newspaper “Neue Züricher Zeitung” did not listen to the Nobel committee. On the page, Stefan R. linked to, they tell us amongst other hot stuff, that Astra Zeneca, which holds the patents for the two vaccines against HPV, supposedly supported two daughters of the Nobel Foundation: Nobel Media (control and marketing of the media rights) and Nobel Web (runs the website nobelprize.org). Astra Zeneca has been the main sponsor of those companies since about half a year and has supposedly paid them several million (presumably) Euros.